Today for Embrace the camera I'm featuring you with Great Grampy Gormley and Great Grammy Gormley. They are both at a nursing care facility right now and I think you made their day. 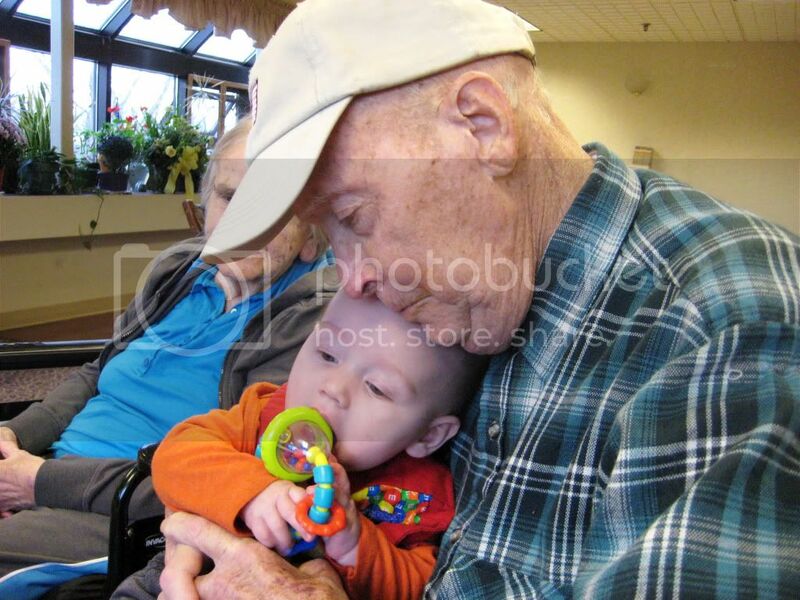 Grampy cuddled with you and enjoyed seeing you smile...he also said you were nice and warm, he is usually cold, so this was nice for him. 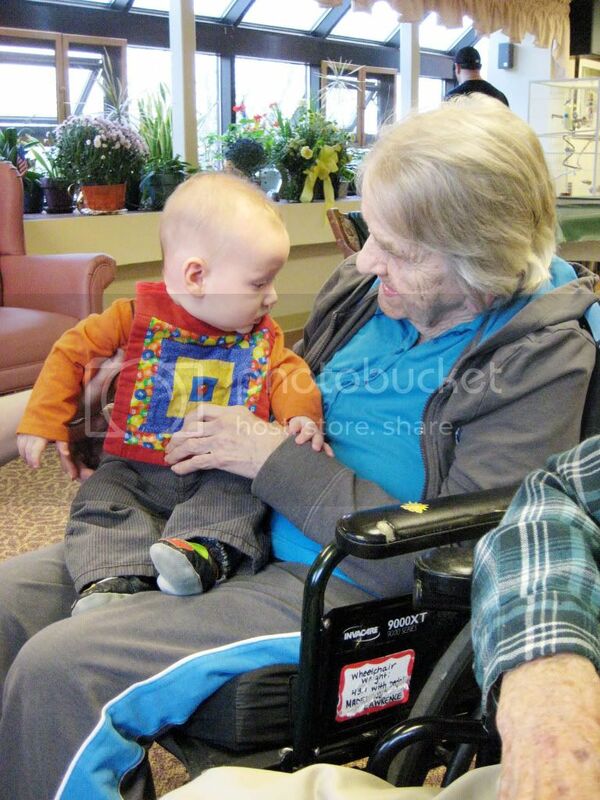 Grammy held you and said, " He is a cute one" which is a lot of words spoken from her. She smiled at you and you could tell that she loves you. Reid you have a great heritage found in your great grandparents and I want you to know that they love you dearly, I saw it in their eyes. Great Grampy and Grammy love Jesus and I'm sure they would tell you all about Him and how He loves us if they had the chance. I think we'll go back and visit soon, if not for us, then for them, to smile and see the joy of a baby, well really of you, Reid.